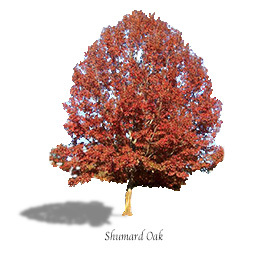 Features:	Young trees have “candelabra” shape; fall color is orange to deep red. Comments:	Widely available; prefers well-drained soils. Seed source of trees may determine success. Problems:	Fruit drop; oak wilt is a serious disease problem in parts of Texas.